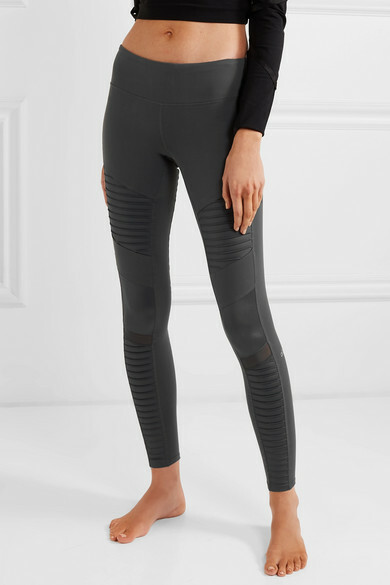 Alo Yoga's leggings are loved and frequently worn to classes by the likes of Gigi Hadid, Kendall Jenner and Taylor Swift. This anthracite pair is made from moisture-wicking material enhanced with four-way stretch, so they lift your bum and sculpt thighs. They have quilt-style stitching, hence the name 'Moto'. 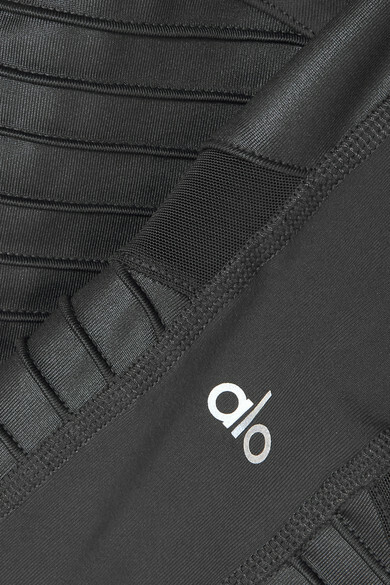 Shown here with: Alo Yoga Top, Alo Yoga Yoga mat.